Co-Produced by Punchdrunk International and SMG Live. The doors to the McKinnon Hotel - home of Sleep No More in Shanghai - are now open. 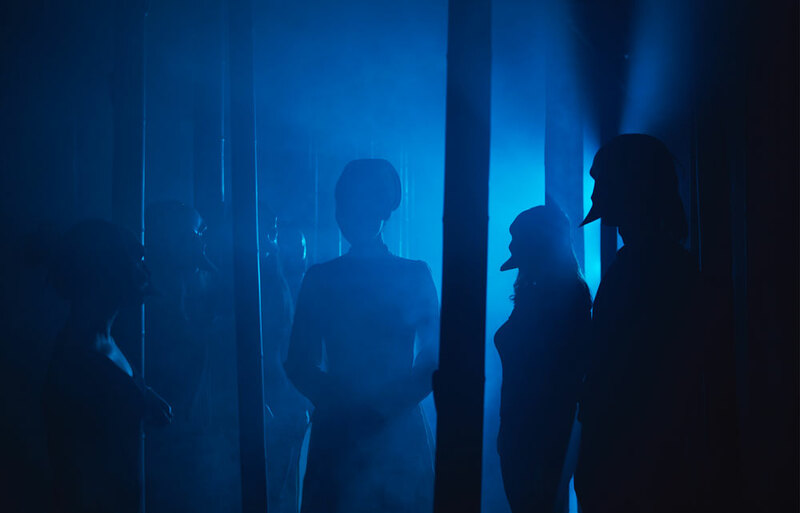 Sleep No More tells Shakespeare’s classic tragedy Macbeth through a darkly cinematic lens, offering an audience experience unlike anything else. Audiences move freely through the epic story, creating their own journeys through a film noir world. Taking Punchdrunk’s work to Asia for the very first time, Punchdrunk International and SMG Live have co-produced a re-imagined version of the original production, now set in Shanghai in the 1930s. This production sees new surprises hidden across 5 storeys of this newly built building in the Jing’An District. Following productions in London, Boston and New York, Shanghai's Sleep No More runs alongside the continued run of The McKittrick Hotel in New York (please see here for further information on the New York show). Sleep No More received the prestigious Best Breakthrough Act at Shanghai’s Annual TV & Culture Awards on 13 June 2017. The production received a Thea Award for Outstanding Achievement in Connected Immersion Theatre in November 2017. Tickets for Sleep No More Shanghai are now on sale. For tickets and booking information please click here. Photos by Yuan Studio and Jiang Fan.